UCLA, the most popular campus in the nation, with 55,397 freshman applicants, announced today that it had admitted 12,579 prospective freshmen for fall 2008. Of these students, 18.1 percent, or 2,164, were underrepresented minorities — a 1.5 percentage-point increase over last year. UCLA Chancellor Gene Block said that the university is especially pleased that the number of African American and Latino/Chicano freshmen who applied to UCLA and were admitted increased again this year. The chancellor said that university administrators, along with students, alumni, faculty and staff, are now working to encourage the talented students who were admitted to enroll at the university for the fall quarter. "We were very impressed with the academic qualifications of all the applicants, and we look forward to an outstanding group of freshmen this fall," Block said. "Every student who was admitted is not only extremely qualified academically but also demonstrates special talents and interests that will enhance both their own college experience and the quality of campus life at UCLA." 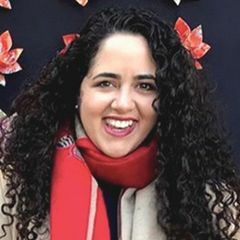 Janina Montero, UCLA's vice chancellor for student affairs, praised the involvement of the African American community, alumni, students and faculty in helping to assure that many highly qualified African American students applied to UCLA, which helped boost the number of African American freshmen who were admitted. As with last year, prominent alumni and friends of the university are providing funds for scholarships to African American freshmen who elect to attend UCLA in the fall. "Their participation has been invaluable," Montero said of all those who stepped forward. 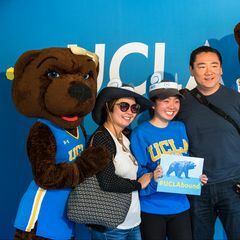 "While there is still work to be done in terms of encouraging these students to decide to come to UCLA next fall, we are extremely grateful for the interest and dedication of the broader UCLA family." This is the second consecutive year that UCLA has used a "holistic" process for evaluating applications, in which each application is read and considered in its entirety by two trained readers; in previous years, two readers reviewed student academic records while a third reviewed life challenges and other personal achievements. The UCLA Academic Senate made the change because the faculty believed a more individualized and qualitative assessment of each applicant's entire application would better achieve the University of California Regents' goal of comprehensive review. The holistic approach emphasizes students' achievements in the context of opportunities available to them and how students have taken advantage of those opportunities. Reflecting an increase in the overall number of applications, the university was able to admit 22.7 percent of all those who applied, compared with 23.6 percent last year. Those admitted must file a Statement of Intent to Register (SIR) by May 1. The university expects a class of approximately 4,700 to begin their studies in September. Academically, UCLA's admitted freshmen were again very strong. The overall grade-point average was 4.34, compared with 4.29 last year. The average composite score for the SAT reasoning test remained steady at 2,000, out of a possible 2,400. The average math score was 683, the average reading score was 653 and the average writing score was 664 — all approximately what they were last year. Admitted freshmen took an average of 19.9 honors courses and completed nearly 50.9 college preparatory semester courses — far above the minimum of 30 that is required. Of the admitted students, 4,804, or 40.2 percent, were Asian American — approximately the same level as the last four years. Asian Americans made up 42.8 percent (4,975) of the admitted freshman class in 2007, 45.6 percent (5,390) in 2006, 42.5 percent (4,710) in 2005 and 42 percent (4,049) in 2004. In other categories, admissions data show that 7.4 percent (885) of admitted applicants declined to state their race or ethnicity and that 1.2 percent (138) identified themselves as "other." Information about admitted California freshmen at University of California campuses is available at www.ucop.edu/news/factsheets/fall2008adm.html. More than 60,000 high school seniors were offered admission at UC campuses. UCLA is California's largest university, with an enrollment of nearly 37,000 undergraduate and graduate students. The UCLA College of Letters and Science and the university's 11 professional schools feature renowned faculty and offer more than 300 degree programs and majors. UCLA is a national and international leader in the breadth and quality of its academic, research, health care, cultural, continuing education and athletic programs. Four alumni and five faculty members have been awarded the Nobel Prize. NOTE: Fall 2008 figures are extracted from March 31 files and do not reflect final figures. The data used reflect information about domestic students, except for the total numbers of applicants and admits, which include international students. This year's figures are compared with official data from 2007. Admissions numbers will change slightly, with final official data available in October 2008. Data provided by the University of California Office of the President are for California residents only.